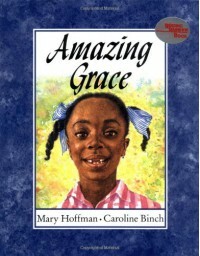 We read this book this morning in class and it was such a sweet story! The story is so heartwarming and the artwork is beautiful. Like we talked about in class you could read this book as a way to show that anything is possible and if you put your mind to it you can do it! I think you could read this to any grade but I think the lower grades would enjoy it more.